This photo was taken from the huge cement fort in Cartagena, Colombia. The fort used to protect Spanish gold and silver taken from South America that was being prepared to be sent off to Europe. 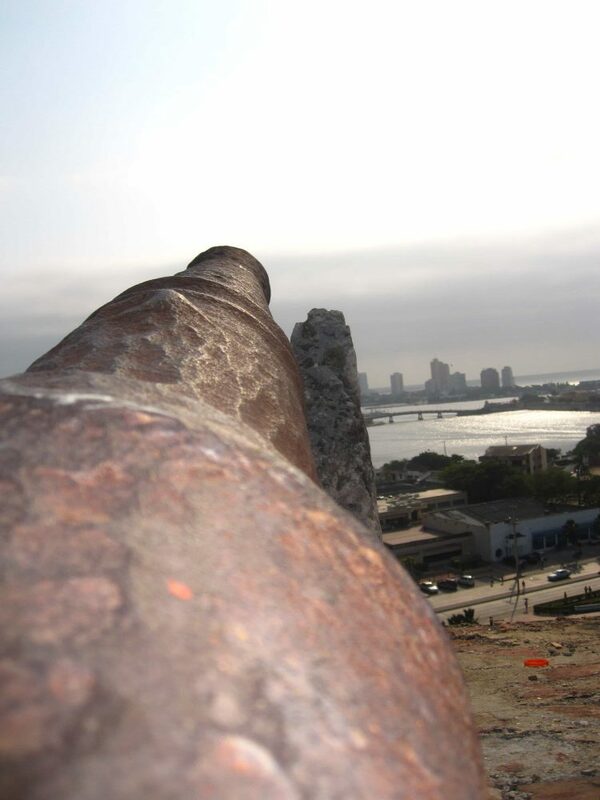 Cartagena was under regular attacks from pirates and privateers alike for many decades. This canon points out towards the modern city and the inlets in the back ground. This is one of the oldest cities in the world, and certainly one of the most beautiful. In many ways, Cartagena reminds me of a version of New Orleans perhaps mixed with a little bit of old Spain. However, walking around and chatting with the people will make it quite obvious that this is Colombia. It could be no other place. Cool photo! Ahhh I want to visit Cartagena so bad!